Seasons Condos (2 Towers East 36 storeys and West 34 storeys) is a new building development by Concord Adex. 2 towers with classic shapes that flow into a creative form of an S pattern, rising skyward as a landmark in the heart of North York. The team are Page + Steele / IBI Group & Rafael + Bigauskas Archites Inc for architecture, DTAH Architets for Landscape Architect and for Interior Design is LIV Interiors. It will be part of the great Park Place Community project. 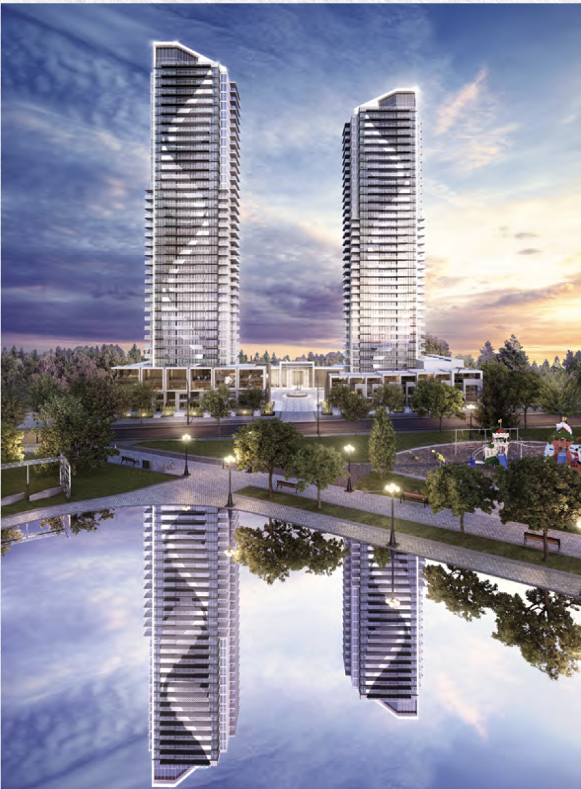 Park Place is a 45-acre, true master-planned community with 20 multi-tower high rise complex currently under construction between Sheppard Avenue, Leslie Street, Highway 401, and Bessarion Road. What Concord Park Place has that no other community development in Toronto has to offer and its the grand jewel of this remarkable re-development is the 8 acre Grand Central Park that in summer time it will showcase a grand Water Feature, in winter a Skating Rink , a children's area and play-field for families and the community to enjoy for years. This developer is one of Canada's largest community builder that has feature communities and condo projects in Toronto, North York, Vancouver, British Columbia and London, UK. The site was previously occupied by a large Canadian Tire distribution facility and retail store and was sold to in 1999. Demolition began in 2007 to clear the DC and retail store. Concord Park Place is the second of two planned themed communities along the 401/Sheppard corridor. Upon completion, Concord Park Place will be home to 5,000 units and home to 7,000 residents when complete in 20 buildings high-rise and mid-rise. Park Place is actually the south extension of the Bayview Village neighborhood. The towers at Park Place Community are Park Villas, Omega On The Park, Opus, Tango and Discovery. Address: McMahon Drive (Sheppard Ave E. & Provost Dr.), North York. Come home to stunning architecture, cosmopolitan amenities and a lifestyle inspired by the community. Surrounded by upscale shops, restaurants, offices and residences. Its the perfect place to connect with the community, whether to sip a gourmet coffee or enjoy an event like skating or music festival. These high rise towers will feature 2 slender elegant towers in North York's skyline. Building 1 which is the east tower will be rising 36 storeys and have a total of 342 luxury suites with 20 Garden Villas (townhomes). The suite layouts are 1 bedrooms, 1 bedrooms plus den, 2 bedrooms, 2 bedrooms plus den and 3 bedrooms ranging in size from 505 sqft and up to 1090 sqft and prices ranging from the low $300,00's up to $700,00's. The townhomes are 2 bedroom + den, 3 bedroom and 3 bedroom plus den layouts ranging from 1300 sqft and up-to 2250 sqft with prices ranging from $700,000's to $1.4 M. This tower has an estimated occupancy date of 2019. Seasons Condos II (2) west tower will start selling in March 2017 and this awesome building will be rising 34 storeys above North York's skyline. A magnificent glass tower and street-friendly podium will house 312 exquisite suites with 18 Garden Villas (towns). Roughly the same layouts that were offered in tower 1 will be offered here. Which are 1 bedroom, 1 bedroom plus den, 2 bedroom, 2 bedroom plus den, 3 bedroom and 3 bedroom plus dens ranging in size from 500 sqft to 1100 sqft. Townhomes will be from 1300 and up to 2000 sqft as well. Prices for the units will be from the low $300,000's and Villas from the low $700,000's. This second tower has an estimated occupancy date of 2020. Features and finishes that belong in a design magazine. Spacious open concept suites with spectacular finishes including European-inspired cabinetry, fashionable accents and rare, imported stone. Features and finishes include 9" ceilings in principle areas, Premium European integrated appliances that are top of the line, including Miele, a German brand renowned as the world's highest quality manufacturer for more than a century. Premium appliance package including: Integrated refrigerator, stainless steel electric cook-top, stainless steel integrated oven, stainless steel hood fan, integrated dishwasher and stainless steel microwave oven with trim. Carrara marble wall tiles and flooring, designer cabinets and quartz counter-tops, premium soft-close hardware and smart thermostat. Laundry features are high capacity front-load washer and high capacity front load dryer. Choice of 3 interior colour schemes, laminate flooring throughout the main living area, bedrooms and den and roller-shade window coverings. 1 parking spot is included in all suites with the exception of certain 1 bedroom layout suites that will have the option of not buying/taking a parking spot. UrbanToronto's Growth to Watch For Series has tracked the hundreds of development proposals and construction projects across the city. Moving from neighbourhood to neighbourhood. North Yonge and Sheppard East is in their series and its definitely a future growth area to watch for. Read more about UrbanToronto's Development Guide: Growth to Watch For 2016 Series - North Yonge and Sheppard East Area. Concord Park Place is situated in a multi-million dollar neighbourhood with homes averaging prices ranging from $2million to $20million. Seasons is located close to Bayview Village Shopping, nicely designed shopping centre that contains over 110 stores. Bayview Village neighborhood also contain small outdoor shopping plazas that feature mostly small, independent retailers, restaurants, and professional offices. Many of these businesses include English and Chinese on their signage, reflecting the large Chinese population living in and around Bayview Village. Sheppard Avenue also has a numbe r of well known big box stores and a large medical centre. 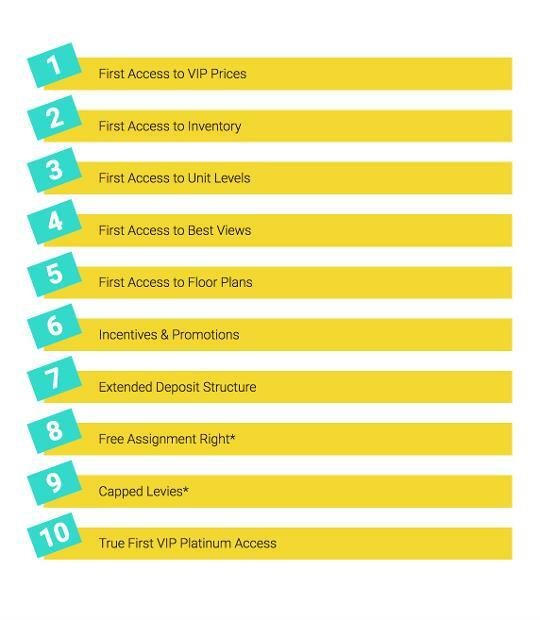 Register today for the Platinum Access Registration and to receive the Floor Plans, Price List, updated information and for future Platinum VIP Preview Sales Event . REGISTER TODAY FOR MORE INFORMATION FOR SEASONS CONDOS!